In 2008, the demand for grid-supplied electricity in eastern Australia began its fall. Back then, industry planners and commentators thought the phenomenon just a temporary response to the Global Financial Crisis. 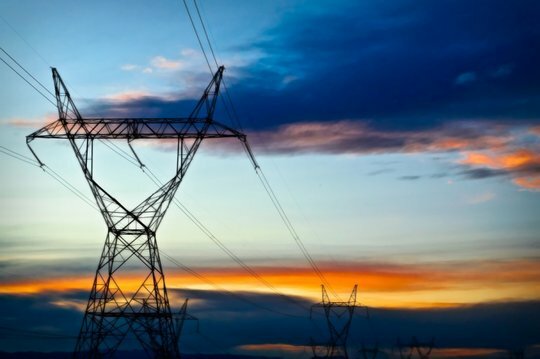 After an expectedly-brief lull, and as Australia’s economy and population continued to grow, electricity demand would return to its decade-after-decade rise. We now know that for several more years after 2008, while governments and investors continued to build fossil-based generators and to expand electricity-transmission infrastructure (think “gold-plating”), they failed to notice or perhaps accept that the world had changed. Electricity use no longer tracked population and economic growth (Fig. 1). No longer could demand be counted on to just go up and up forever. Figure 1: Australian growth of gross-domestic product (GDP) compared with demand for grid-supplied electricity in eastern Australia. So what happened, starting in 2008? Australians began in earnest to generate their own electricity using rooftop solar photo-voltaic (PV) panels. In homes and in businesses, people continued to replace refrigerators, air conditioners and light bulbs with new equipment far more efficient than what was available before. With co-incident rising wholesale and retail electricity prices, some large industrial consumers such as aluminium smelters had to close. Eastern Australia used to have the cheapest wholesale gas in the developed world. But those days, lucky for some, came to an abrupt end in 2014 when eastern-Australia was connected to the international gas market. Liquefied natural gas (LNG) export facilities were built in Queensland that at times caused gas to flow north from as far away as Victoria and the Bass Strait. Compared to the volume of gas burned within eastern-Australia, suddenly three times as much gas was being loaded on to ships and sent overseas. Eastern-Australian gas consumers at home and in industry watched on as the wholesale price of gas – now being traded on international markets like crude oil – doubled and then doubled again, and then went up some more. With little prospect of cheap gas coming back, gas consumers are now forced to look at their energy use and supply options. And here’s the good news: they have options. Home-owners are learning they can heat their homes with reverse-cycle air conditioners (aka heat pumps) for one-third the cost of turning on the old ducted gas heating. The gas-burning hot water heater can also be replaced with a heat pump that extracts free renewable heat from the “thin-air” outside your home. Some long-time gas consumers have disconnected their home from the gas grid altogether and asked their plumber to take the gas meter away. Whole “sustainable” suburbs are appearing that will have no connection to gas. By tapping in to zero-emission technologies such as rooftop solar PV and heat pumps, a truly sustainable home can only be “all-electric”. Though the average home occupant wouldn’t know the phrase, what they are doing is called “economic fuel-switching”: moving from one energy source to another to keep pace with changing technologies and energy-source price differences. The gas price rise presented another opportunity for home owners to think about improving the energy efficiency of their traditionally-leaky Australian homes: those “glorified tents” that let cold winter air in while doing little to stop heat from radiating out. Industry must now also accelerate their dash from gas by employing energy efficiency and economic fuel-switching measures such as heat pumps and other industrial “electrifying” technologies. Some businesses have joined millions of Australian homeowners in installing their own solar PV electricity generators or have entered into supply agreements with low-cost renewable energy providers. As happened with electricity, any large industrial gas consumer unable to respond to rising prices is in danger of losing the competitive race. Previously we foreshadowed the day when gas used in homes and industry would, like electricity, cease its decades-long period of growth. Recently the Australian Energy Market Operator (AEMO) published data showing gas demand in those sectors had indeed peaked in 2012 at 485 petajoules. In 2017, gas demand reached only 93% of that peak (449 petajoules). (Fig. 2) That’s a reduction in gas demand of 36 petajoules per year, a volume of gas in excess of what some potential new gas field developments will produce. Had gas demand followed an historical 1.5% per year growth trend, gas demand in homes and industry would have reached 523 petajoules per year by now. In 2017, actual annual gas demand was 74 petajoules below that expectation, a difference of 14%. Figure 2: Declining eastern-Australian gas demand in the industrial, commercial, and buildings sectors compared with Australian GDP and historical gas-demand-growth trend. Outside of homes and manufacturing industries, gas is also used for electricity generation. AEMO recently reported that gas demand is retreating in that sector too. Our analysis shows fossil-gas demand is falling. However, similarly to what happened a decade ago with electricity, this reversal of historical trends is not being widely reported. Instead politicians and industry lobbyists persist in calling for expanding gas supply and infrastructure. The question energy-industry commentators should be asking is, how far and how fast will fossil-gas demand fall away? As the global move to decarbonise and “electrify everything” proceeds, the disappearing act for fossil gas demand in eastern Australia has only just begun. Tim Forcey is an independent energy advisor and curator at the Facebook group “Australian Gas Market Insights“.